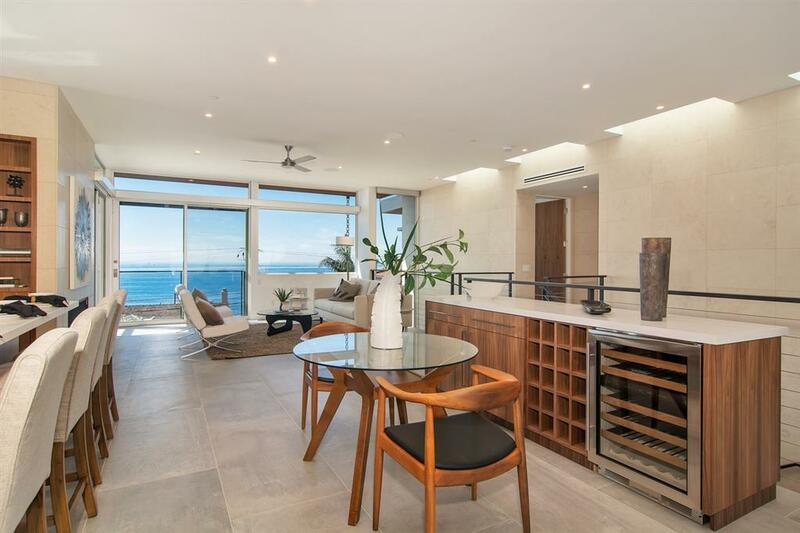 Brand new, Bird Rock Modern boasting a breathtaking design aesthetic and absolutely spectacular, panoramic views of the ocean & sunsets. Numerous skylights and dramatic walls of Fleetwood windows and doors found throughout the main level create tranquil, light-infused living areas and a master suite where you will gratefully retire at the end of the day. 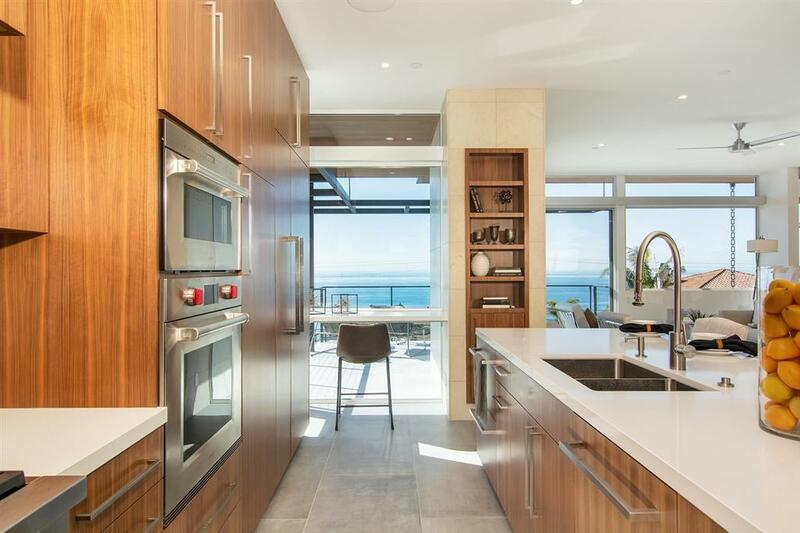 Impeccable interior appointments include warm walnut cabinetry by Orion Woodcraft, quartz countertops, natural limestone veneer walls and porcelain tileÃ¢â‚¬Â¦ Ã¢â‚¬Â¦flooring. Take the elevator or floating stairs to the lower level where you will find a family room, media room, 2nd master suite, as well as 2 additional bedrooms. Enjoy endless entertaining possibilities from the 625 sq. 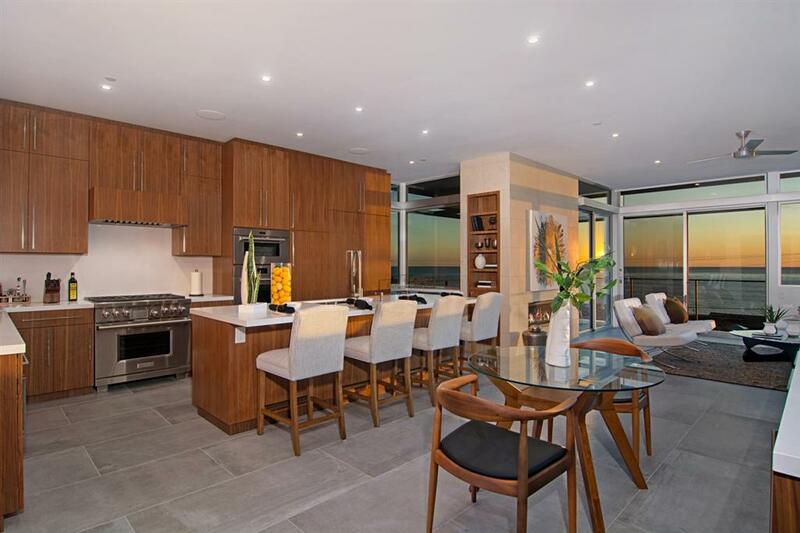 ft. rooftop deck with 360-degree views of La Jolla and beyond, dine al fresco on the covered back patio with a built-in barbeque, soak in the soothing spa, or take a dip in the Riverflow Swim Gym with a pool window to the media room. Expertly designed John Pylar of domusstudio architecture with superior craftsmanship completed by Four by Four Construction. 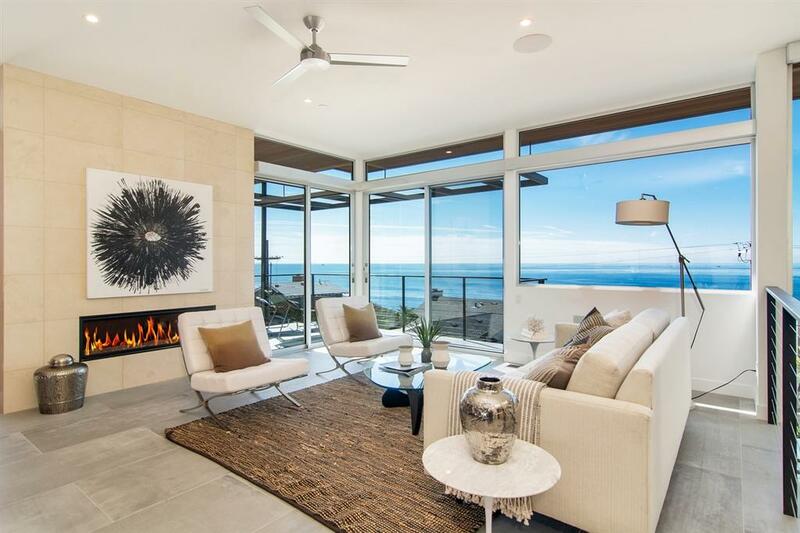 Embracing La JollaÃ¢â‚¬â„¢s coveted beach lifestyle is a breeze from this desirable Bird Rock locale, situated across the street from the ocean, a stoneÃ¢â‚¬â„¢s throw to Calumet Park, with easy access to a wide variety of shopping and dining.